Nature and Nurture. Unplug, Let Loose, Have Fun... TOGETHER! 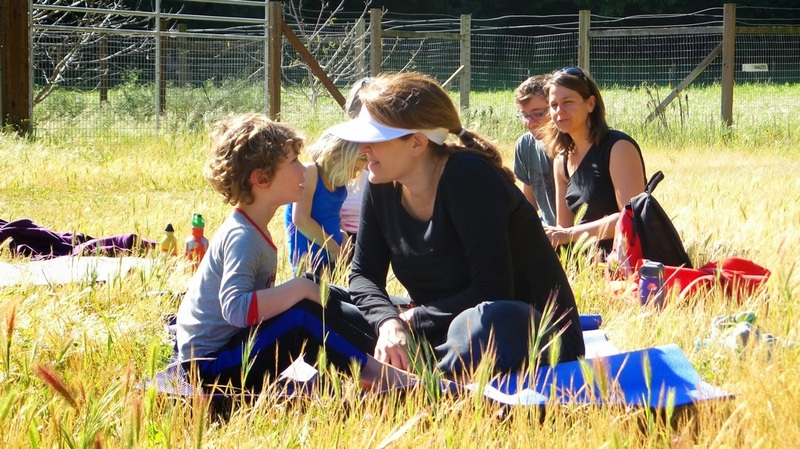 ​10:00 a.m. - 4:00 p.m.
Join us for a Spring Day on the Farm unplugged and interacting with each other. Create healthy bonds as you enjoy a balance of nature, ease, activity and relaxation. Enjoy the beauty of nature, the baby animals and like-minded families as we build healthy values in community. Leave feeling refreshed and inspired. Space is limited. Sign up early to secure your spot in this inspiring family getaway. All family configurations are welcome. Yoga classes suitable for ages 4 - adult. Younger siblings are welcome with parent supervision. Payment plans available as needed. Please email me. Grace Kendrick is a Holistic Health Coach specializing in Ayurveda, Yoga and Mindfulness. As a busy mom and stepmom, she understands the challenge of balancing self-care with raising children. Her practice is focused on helping moms at every age and stage navigate through life changes while maintaining radiant health and happiness in their daily lives. She is a Certified Ayurveda Specialist (C.A.S.) and holds yoga certifications through Whole Birth® Prenatal Yoga and Support, the White Lotus Foundation and Kundalini Research Institute (KRI). She is on faculty for the Yoga Teacher Training program at MindBody Zone in Fremont, CA and the Prenatal Kriya Yoga Teacher Training.